Not a good start to the week! Where did they get that minus from anyway? I captured this one from the teamstats this morning, (#51) Alliance_Francophone. The question is : is the problem at EOC side or at Stanford one ? Did you notice something similar at kakao's stats or at another place ? Unfortunatley I didn't check any other sites. 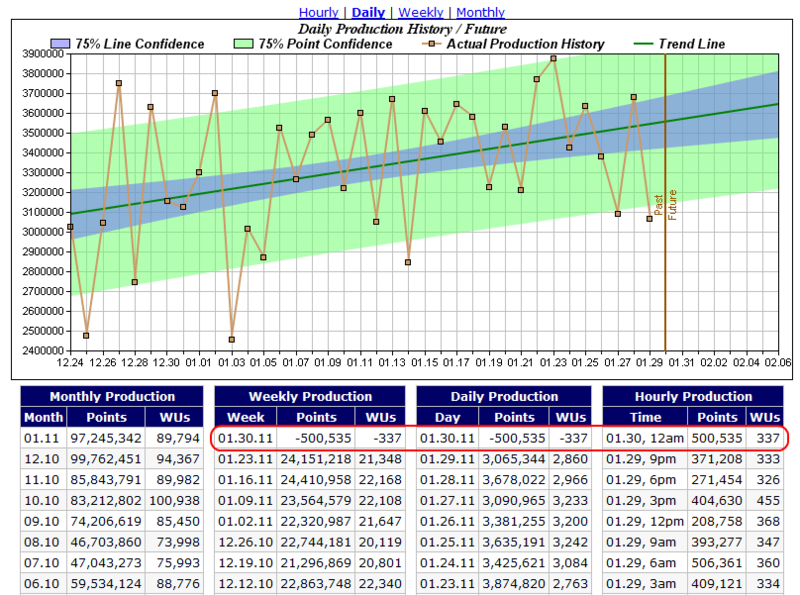 My guess is that EOC showed the right "Hourly Production" but the "Daily Production" and the "Weekly Production" got the minus. The "Total Points" should be okay, I think.